With this article, we are launching a series of posts targeting developers who want to learn or refresh their knowledge about writing concurrent applications in general. The series will focus on well-known and widely adopted concurrency patterns in different programming languages, platforms, and runtimes. In the first episode of this series, we’ll start from the ground up: Operating systems handle our applications' I/O, so it’s essential to understand the principles. Concurrent code has a bad reputation of being notoriously easy to screw up. One of the world's most infamous software disasters was caused by a race condition. A programmer error in the Therac-25 radiation therapy device resulted in the death of four people. Data races are not the only problem, though: inefficient locking, starvation, and a myriad of other problems rise. I remember from university that even the seemingly trivial, innocent-looking task of writing a thread-safe singleton proved to be quite challenging because of these nuances. No wonder that throughout the past decades' many concurrency-related patterns emerged to abstract away the complexity and snip the possibilities of errors. 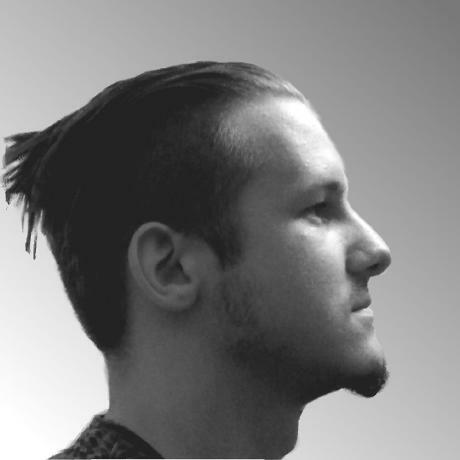 Some have arisen as a straightforward consequence of the properties of an application area, like event loops and dispatchers in window managers, GUI toolkits, and browsers; where others succeeded in creating more general approaches applicable to a broad range of use cases, like Erlang's actor system. My experience is that after a brief learning period, most developers can write highly concurrent, good quality code in Node.js, which is also free from race conditions. Although nothing is stopping us from creating data races, this is far less frequently happening than in programming languages or platforms that expose threads, locks and shared memory as their main concurrency abstraction. I think it's mainly due to the more functional style of creating a data flow (e.g. promises) instead of imperatively synchronizing (e.g. with locks) concurrent computations. However to reason about the "whats and whys," it is best to start from the ground up, which I think is the OS level. It's the OS that does the hard work of scheduling our applications and interleaving it with I/O, so it is essential that we understand the principles. Then we discuss concurrency primitives and patterns and finally arrive at frameworks. Before diving into the OS level details, let's take a second clarifying what is concurrency exactly. What's the difference between concurrency and parallelism? Concurrency is much broader, general problem than parallelism. If you have tasks having inputs and outputs, and you want to schedule them so that they produce correct results, you are solving a concurrency problem. Alternatively, these tasks can run in parallel, e.g. on another processor core, another processor, or an entirely separate computer. On these diagrams, thread means a computation carried out on dedicated processor core, not an OS thread, as they are not necessarily parallel. How else could you run a multithreaded web server with dedicated threads for hundreds of connections? 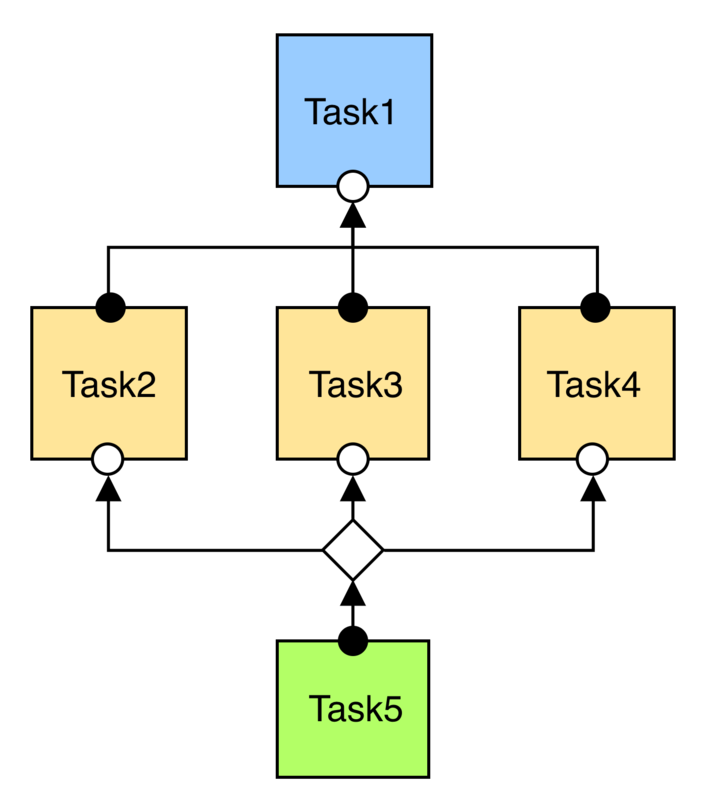 It's not rocket science, but what I wanted to show on these diagrams is that running concurrent tasks in parallel can reduce the overall computation time. The results will remain correct as long as the partial order shown on the above data flow graph is correct. However running if we only have one thread, the different orders are apparently equivalent, at least regarding the overall time. If we only have one processor, why do we even bother with writing concurrent applications? The processing time will not get shorter, and we add the overhead of scheduling. As a matter of fact, any modern operating system will also slice up the concurrent tasks and interleave them, so each of the slices will run for a short time. There are various reasons for this. We, humans like to interact with the computer in real time, e.g. as I type this text, I want to see it appearing on the screen immediately, at the same time listening to my favorite tracklist, and getting notifications about my incoming emails. Just imagine that you cannot drag a window while the movie keeps on playing in it. Not all operations are carried out on the computer's CPU. If you want to write to an HDD for example, a lot of time is spent seeking to the position, writing the sectors, etc., and the intermittent time can be spent to do something else. The same applies to virtually every I/O, even computations carried out on the GPU. These require the operating system kernel to run tasks in an interleaved manner, referred to as time-sharing. This is a very important property of modern operating systems. Let's see the basics of it. A process - quite unsurprisingly - is a running instance of a computer program. It is what you see in the task manager of your operating system or top. A process consists of allocated memory which holds the program code, its data, a heap for dynamic memory allocations, and a lot more. However ,it is not the unit for multi-tasking in desktop operating systems. Thread is the default unit - the task - of CPU usage. Code executed in a single thread is what we usually refer to as sequential or synchronous execution. Threads are supported by nearly all operating systems (hence the multithreaded qualifier) and can be created with system calls. They have their own call stacks, virtual CPU and (often) local storage but share the application's heap, data, codebase and resources (such as file handles) with the other threads in the same process. They also serve as the unit of scheduling in the kernel. For this reason, we call them kernel threads, clarifying that they are native to the operating system and scheduled by the kernel, which distinguishes them from user-space threads, also called green threads, which are scheduled by some user space scheduler such as a library or VM. Most desktop and server operating system kernels use preemptive schedulers, as does the Linux, macOS and Windows kernel. We can assume that threads are preemptively scheduled, distinguishing them from their non-preemptive (cooperative) counterparts, called fibers. This preemptive scheduling is the reason that a hanging process doesn't stall the whole computer. The hanging time slices are interleaved with other processes' and the OS' code, so the system as a whole remains responsive. Context switching (switching between threads) is done at frequent intervals by the kernel, creating the illusion that our programs are running in parallel, whereas in reality, they are running concurrently but sequentially in short slices. Multi-core processors arrived pretty late to commodity: funny that Intel's first dual-core processor was released in 2005, while multitasking OSes had already been in wide use for at least 20 years. Programs usually don't only consist of numeric, arithmetic and logic computations, in fact, a lot of times they merely write something to the file system, do network requests or access peripheries such as the console or an external device. While the first kind of workload is CPU intensive, the latter requires performing I/O in the majority of the time. Doing I/O is a kernel space operation, initiated with a system call, so it results in a privilege context switch. When an I/O operation is requested with a blocking system call, we are talking about blocking I/O. This can deteriorate concurrency under implementations, concretely those that use many-to-one mapping. This means that all threads in a process share a common kernel thread, which implies that every thread is blocked when one does blocking I/O (because of the above-mentioned switch to kernel mode). No wonder that modern OSes don't do this. Instead, they use one-to-one mapping, i.e. map a kernel thread to each user-space thread, allowing another thread to run when one makes a blocking system call, which means that they are unaffected by the above adverse effect. You can mix the two steps in every fashion. I skip delving into to technical details which I don't possess, instead, let me just draw an analogy. Synchronous, blocking I/O: Start to move right away, possibly got blocked by traffic on the road. For multiple turns, you are required to repeat the first two steps. Synchronous, non-blocking I/O: Periodically check the road for traffic, only move stuff when clear. Between the checks you can do anything else you want, rather than wasting your time on the road being blocked by others. For multiple turns, you are required to repeat the first three steps. Asynchronous, non-blocking I/O: Hire a moving company. They will ask you periodically if there's anything left to move, then you give them some of your belongings. Between their interruptions, you can do whatever you want. Finally, they notify you when they are done. Which model suits you the best depends on your application, the complexity you dare to tackle, your OS's support, etc. the OS has a maximum number of threads. That's why modern web servers shifted to the async non-blocking model, and advocate using a single-threaded event loop for the network interface to maximize the throughput. Because currently, the underlying OS APIs are platform-specific and quite challenging to use, there are a couple of libraries providing an abstraction layer over it. You can check the end of the article for the list later. If you want to know more about the details of different I/O models, read this detailed article about boosting performance using asynchronous IO! Busy-waiting is the act of repeatedly checking a resource, such as I/O for availability in a tight loop. The absence of the tight loop is what distinguishes polling from busy-waiting. The difference between the two code is apparent. The sleep function puts the current thread of execution to sleep, yielding control to the kernel to schedule something else to run. It is also obvious that both of them offer a technique of turning non-blocking code into blocking code, because control won't pass the loop until the mutex becomes free. This means that do_stuff is blocked. Let's say we have more of these mutexes or any arbitrary I/O device that can be polled. We can invert control-flow by assigning handlers to be called when the resource is ready. If we periodically check the resources in the loop and execute the associated handlers on completion, we created what is called an event loop. This kind of control inversion takes some time getting used to. Different frameworks expose various levels of abstractions over it. Some only provide an API for polling events, while others use a more opinionated mechanism like an event loop or a state machine. The following example will illustrate the differences between working with synchronous, blocking and asynchronous, non-blocking network I/O. It is a dead-simple TCP echo server. After the client connects, every line is echoed back to the socket until the client writes "bye". As you can see on the gif, this server is not concurrent at all. It can handle only one client at a time. If another client connects, it has to wait until the preceding one closes the connection. Introducing concurrency without replacing the synchronous blocking networking API calls is done with threads. This is shown in the second version. The only difference between this and the single-threaded version is that here we create a thread for each of the connections. A real-life server would use thread pools of course. This finally enables us to serve multiple clients at the same time. Hurray! Another way to create a concurrent server is to use libuv. It exposes asynchronous non-blocking I/O calls and an event loop. Although by using it, our code will be coupled to this library, I still find it better than using obscure, platform-dependent APIs. The implementation is still quite complex. Once we initialized our tcp server, we register a listener handle_socket for incoming connections. In that handler, we can accept the socket and register a reader for incoming chunks. Whenever a chunk is ready and there is data, we register a write handler handle_write that echoes the data back to the socket. Else if the client said bye, or we reached EOF, we close the connection. You can see that to program this way is very tedious and error-prone (I definitely made some bugs myself, although I copied a large portion of it). Data created in one function often has to be available somewhere in its continuation (a handler created in the function, but asynchronously called later), which requires manual memory management. I advise you against using libuv directly, unless you are well acquainted in C programming. Next episode: Concurrency patterns, futures, promises and so on..
network and filesystem I/O, multi-core support, fibers. Used by the ScyllaDB project. network and filesystem I/O, threading and synchronization primitives. Used by Node.js. network I/O. Used by Play Framework, Finagle, Vert.x high-level networking libraries and lot of other projects, like databases. network I/O. It is used the high-level tokio and rotor networking libraries. In the next chapter, we continue with some good ol' concurrency patterns and new ones as well. We will see how to use futures and promises for threads and continuations and will also talk about the reactor and proactor design patterns. If you have any comments or questions about this topic, please let me know in the comment section below.